Consider the case of Texas Senator Wendy Davis as a barometer reflecting much of the country’s attitudes towards women. Davis is an outspoken feminist seeking to be Governor of Texas. Davis. She speaks her mind, takes a stand on issues beyond home and hearth, and is independent thinker. With a degree from Harvard Law, Davis is intellectually tested and accomplished in her own right. Still, she is attacked by the anti-choice opposition for stereotypically feminine behaviors that would make her unfit to govern, depicted as someone lacking character and manipulating the truth for her own ends. Senator Wendy Davis challenged authority: For those who missed it in real time, Senator Davis planned to do whatever it took to ensure that a controversial bill wouldn’t pass the state Senate, a bill that would have triggered the closure of 37 of the state’s 42 abortion clinics, banning abortions in the state after the 20-week gestation mark, limit abortion-inducing drugs and require terminations to be performed in ambulatory surgical centers. This is a throwback to the days of back-alley abortions that ignited the woman’s movement fifty years ago. Any thinking woman knows that with enough money, any woman choosing to have an abortion can find a way to have one. This legislation would leave poor women with no choice for access to a safe procedure. Senator Davis intended to speak to the Texas legislature for 13 straight hours until midnight when the bill would expire; as it turned out, she “only” spoke for 10 hours and 45 minutes. Only? Ahem. The President of the United States tweeted his support and 150,000 viewers watched the proceedings live. Shakespearean drama was rewritten by a decisive woman speaker in modern dress, photographed in a heroic stance wearing bright pink Mizuno “Wave Rider” sneakers. Her decision to stick her neck out could only be called heroic, or perhaps foolhardy by critics. Think about it. Even if you were passionate about an issue, could you go without a bathroom break for over 10 hours? Would you refuse to answer questions from angry Senators? Could you handle the mockery, jeers, and derision? With the tenacity that came from years of struggle after a divorce and waitressing to support two children while attending a community college, Davis earned a Law Degree from Harvard in a dramatic life turn-around. She has a compelling story to tell. Still sexism appeared from all quarters, including a NY Times cover story that asked “Can Wendy Davis have it all?”  If Wendy were a William would they even have wasted a column inch? Omissions from the original nuanced life story were revealed, and pundits and political foes quickly rose to cast aspersions on her truthfulness and core character. Every twist and turn in the road continues to be fuel for criticism; for example, a Texas newspaper chided her for saying her meeting with President Obama would be public when it ended up being held behind closed doors. On today’s political stage, even women who are decisive with proven competence have to prove themselves over again and again. In a man’s case, changing your mind to accommodate emerging facts might even be seen as being strategic, but in a woman’s case, this is seen as flip-flopping. Exaggerating or omitting events in telling one’s life narrative can happen to anyone but do we call them a liar when it does? Women in politics can create a media firestorm for supposedly “spinning” a story as Senator Elizabeth Warren did when she was criticized for exaggerating her Indian heritage. Later, even Harvard said that finding a top-flight woman scholar in commercial law was unusual and that was important when they hired her. Ambitious women- even today- are going to be scrutinized more carefully and criticized when they take a strong position on an issue, criticized for how they spoke, what they wore, what they said, and how they said it but not necessarily criticized for how they thought about the issue itself. Men can certainly be criticized for what is seen as a stereotypically feminine trait, such as flip-flopping – women are supposed to be indecisive, after all– and then it’s doubly stinging, implying that the candidate isn’t a “real” man. We saw this during the 2012 Presidential campaign when Gov. John Huntsman called Mitt Romney, a “perfectly lubricated weathervane” accusing him of changing positions depending on which direction the wind blows. That’s because “real men” are expected to be straightforward in going after what they want, remaining tenacious and single-minded. 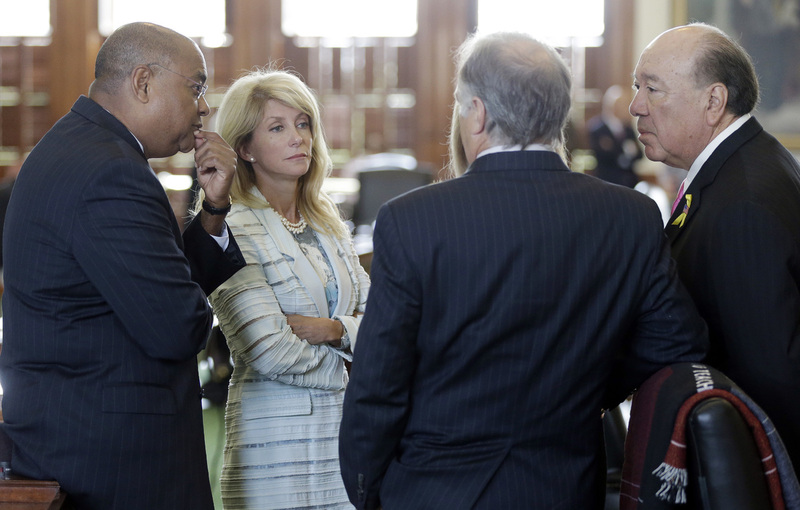 How will Wendy Davis fare in the Governor’s race? Recent polls show her trailing Greg Abbott by about 12 points with 99% likelihood that she will lose the race. Still, we can’t forget that Senator Davis put her career at risk when she weighed in on a serious subject that would have had enormous repercussions for the public at large and women in particular. Just as 14 year old Pakistani school girl Malala Yousafzai said , “I speak for those without a voice,”  Davis spoke for women who couldn’t speak for themselves. 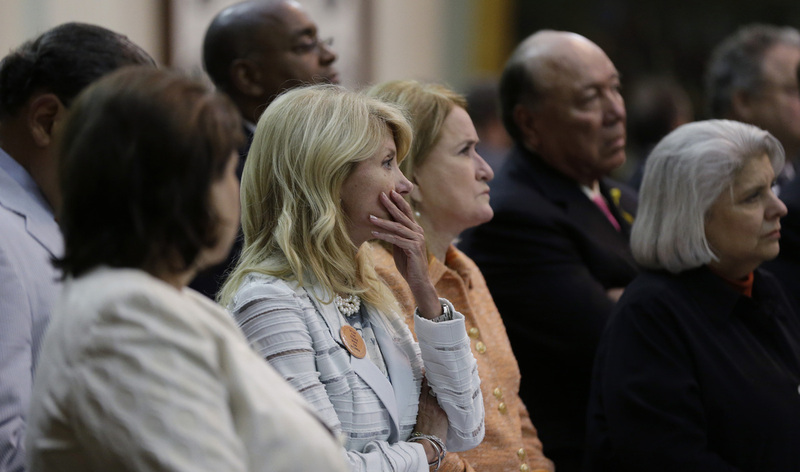 When the heroes of 2014 are chosen, Wendy Davis’ name should be among those honored for bravery. Speaking up against the establishment is a serious risk for women in any sector, one with potential repercussions and critical feedback, if not blowback. And if you think that the ill wind may pass, that any controversial presentation you might give will come under scrutiny briefly, only by those people in the ‘live’ audience giving you fifteen short minutes of fame, you’re ignoring the power of social media. A provocative presentation, whether by a woman or man, might last for fifteen years, thanks to YouTube.com Twitter, bloggers like me, or social media yet to be invented. That means, before you take a stand on a controversial issue, be prepared to take the heat.